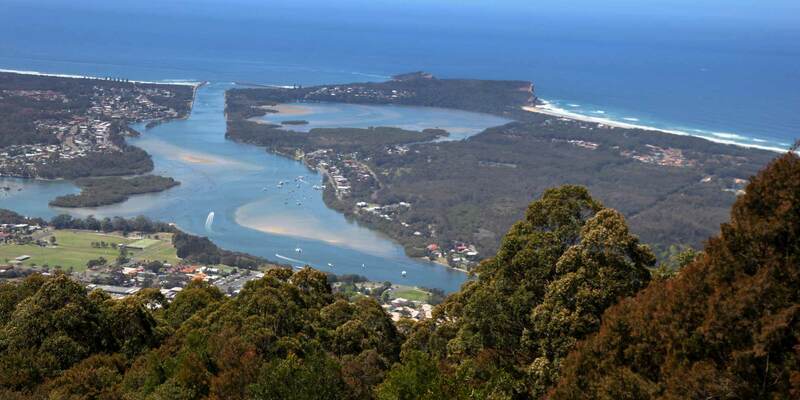 ARA Electrical provides electrical services in the Port Macquarie area. 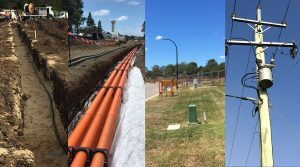 Trading as Transelect, a Level 1 Accredited Service Provider (ASP) authorised with Level 3 design, we supply electrical power line infrastructure, overhead and underground power poles and cable installation, as well as high voltage and low voltage transmission, in the mid north coast region of NSW. 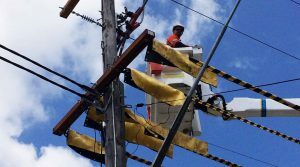 ARA Electrical High Voltage Services Pty Ltd Trading as Transelect has gained industry-wide recognition for our extensive capabilities and the proficiency of our electrical technicians. With Level 1 ASP accreditation and Level 3 design authorisation, the Transelect team is qualitied to design and provide construction services for overhead installations up to 132kV and underground installations up to 66kV. Both the design and construction of transmission and distribution networks carried out by Transelect meet the approval standards of the Ausgrid, Essential Energy and Endeavour Energy networks. Transelect has offices in Heatherbrae, Nowra, Sydney, Wauchope, and Wollongong and delivers electrical services throughout Australia. Contact the Wauchope office today on 02 6586 4302. Transelect services the Port Macquarie-Hastings area, including: Kempsey, Wauchope, Lake Cathie and Laurieton.